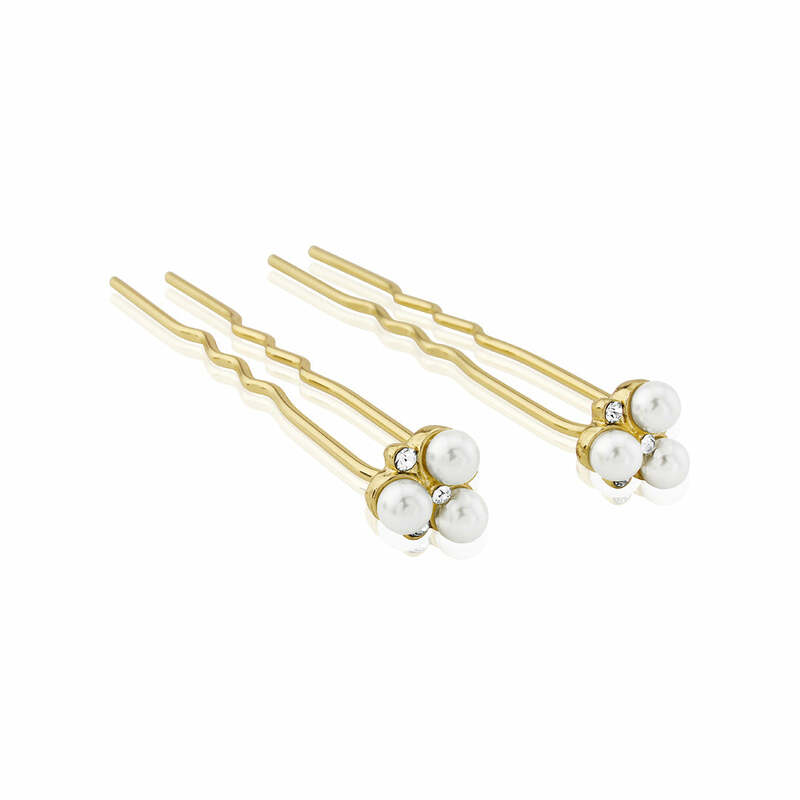 Adorn your hair with these dainty gold pearl hair pins for Golden Age Hollywood Glamour. Vintage loving brides will adore their delicate sparkle. Perfect to adorn your hair with dainty embellishment, Pearls of Gold Hair Pins feature three ivory faux pearls accentuated with petite shimmering Austrian crystals encased in an antique gold tone setting. With double prongs to secure into your up-do, cluster a pair together in a chic side chignon or scatter several pairs through your hair to create a beautifully elegant look. 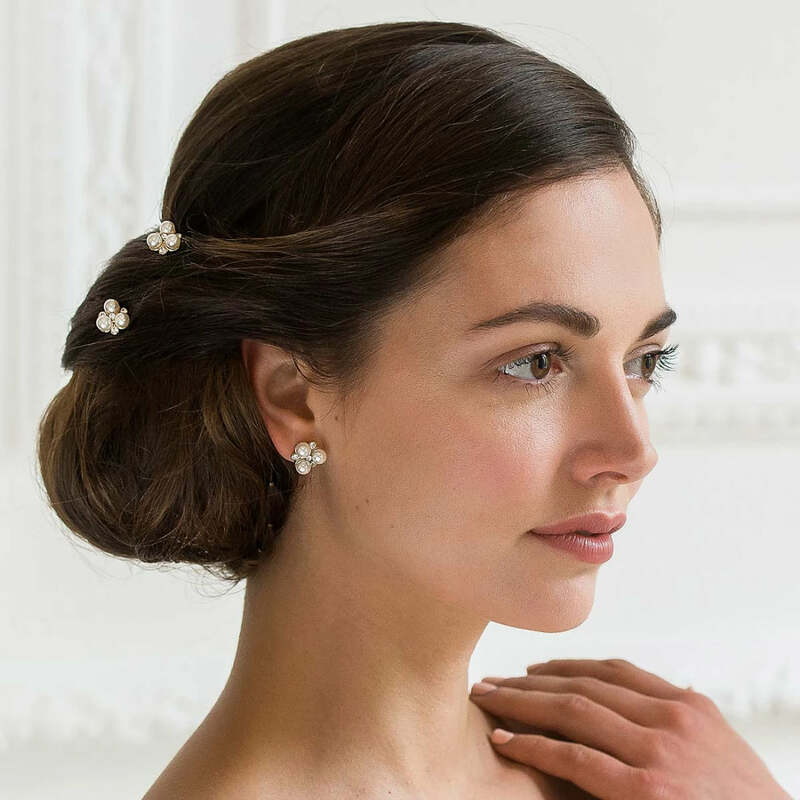 Inspired by hair accessories from the late 1940s to early 1950s, brides who adore vintage style will fall in love with these pretty hair pins, either for their own hair or their bridesmaids. A fabulous way to enhance gold detailing on your wedding dress or to accentuate your colour scheme, team with our coordinating jewellery set for an aisle style worthy of an Old Hollywood Starlet.